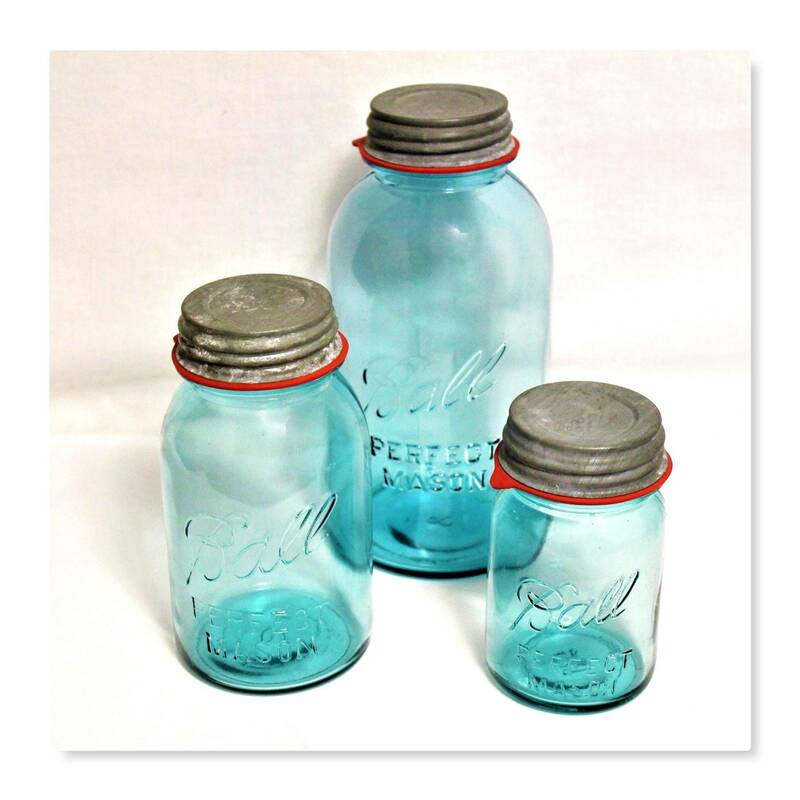 We have for sale a Vintage Trio Set of Ball Canning Jars in a wonderful blue color. 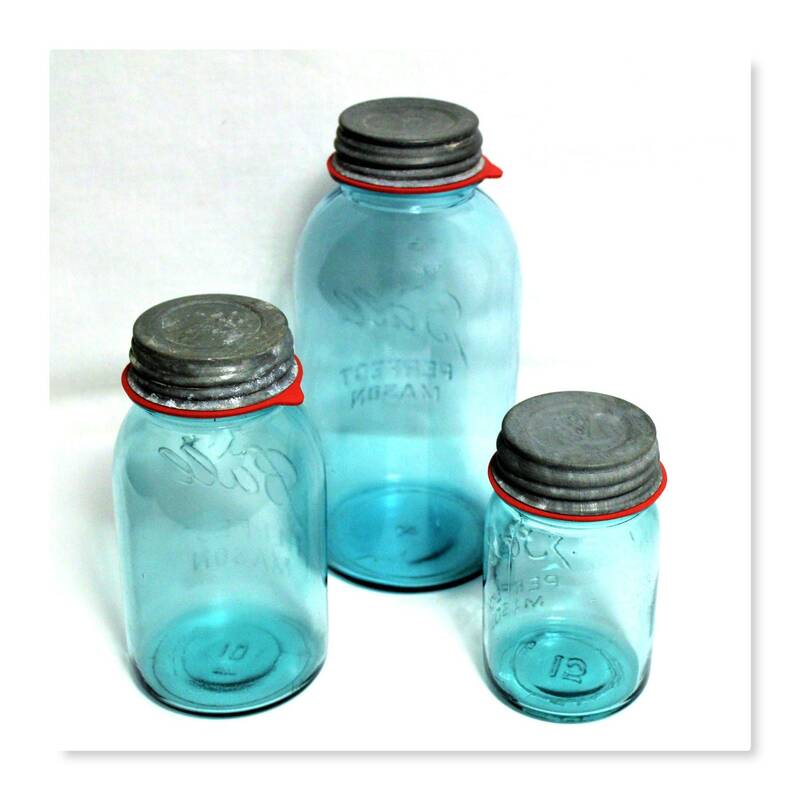 This is a wonderful 1930s Blue Canning Jars with zinc screw on lids with new rubber gaskets. 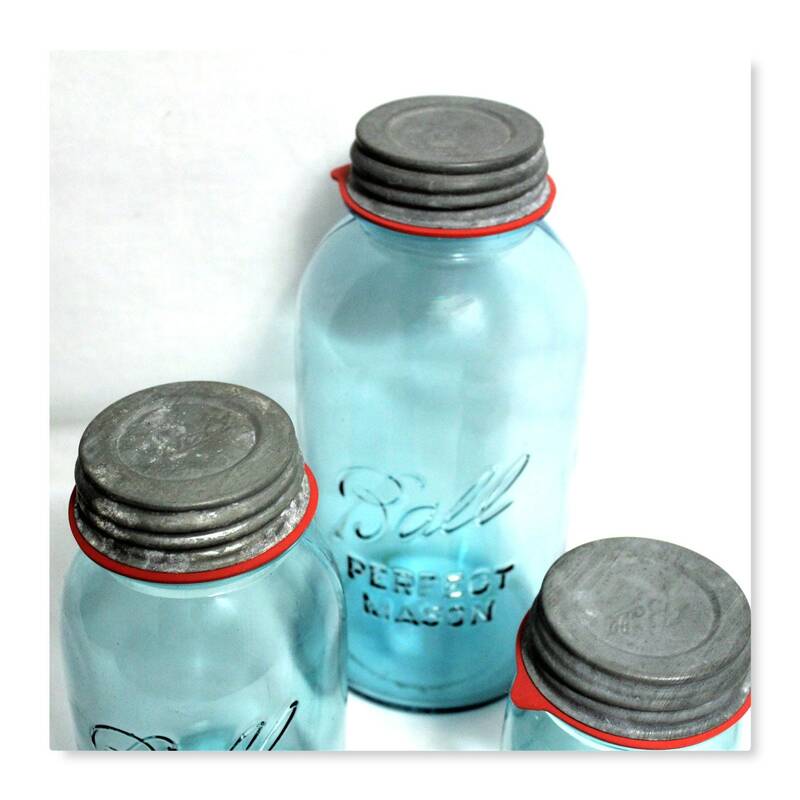 The jars are original for this period not a remake the BALL lettering indicates these were made between 1923 and 1933. The glass does have bubbles common in this period. 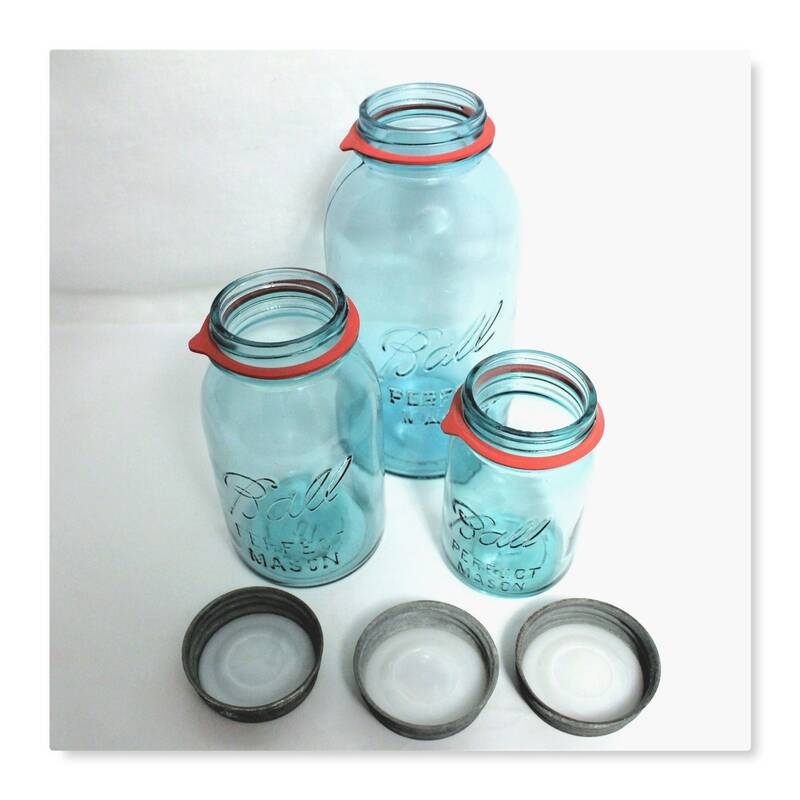 Condition is very good no cracks and only with a couple exterior scratches, the lids may have light discoloration spots which is very common with the zinc lids this does not affect there integrity. 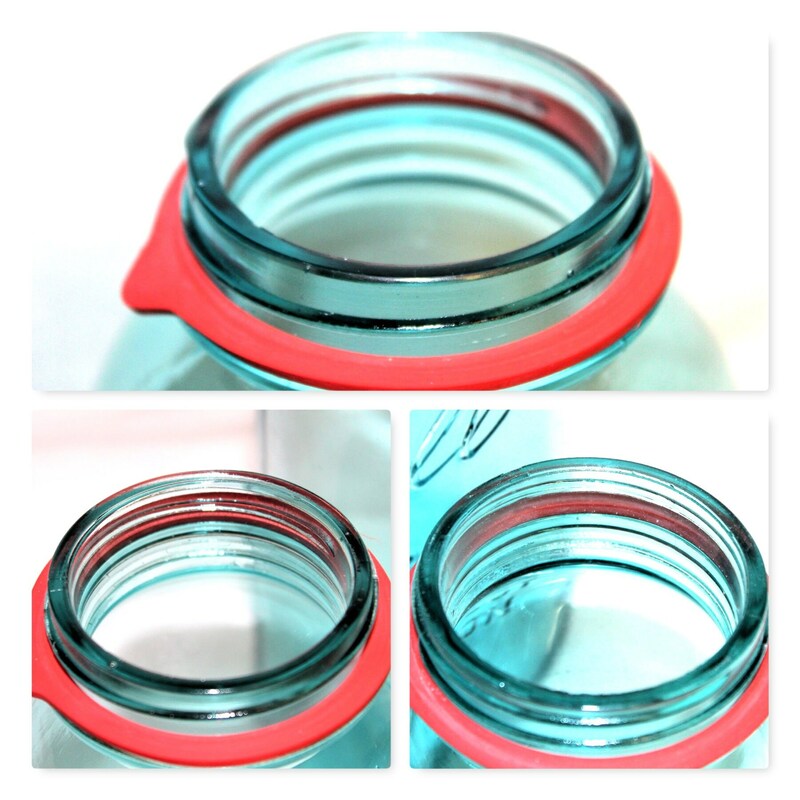 The numbers on the bottom of the jars may differ these are the manufacturing numbers.